A little sweet, a little tart! 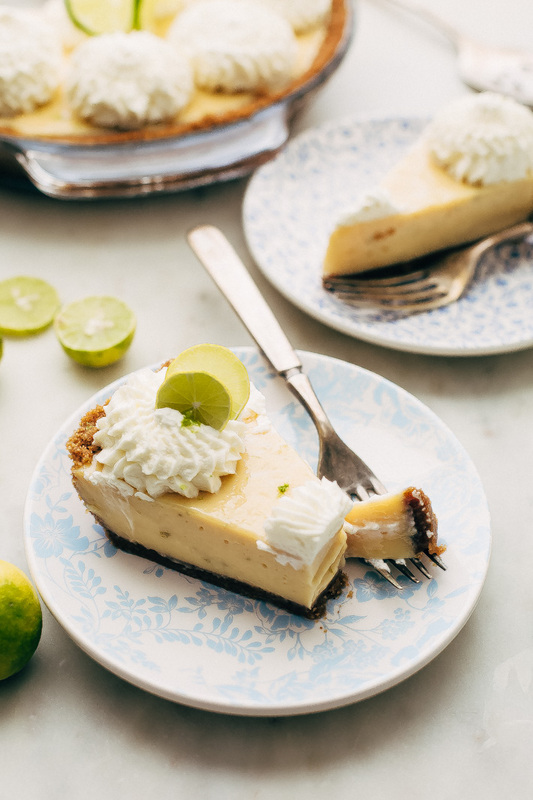 This key lime pie is made with my all-time favorite graham cracker crust that has two secret ingredients to elevate your cracker crust game. One delicious summertime treat! It’s that time again. You know where every year around this time I start itching for things like key lime pie bars , lemon squares, lemon curd  and primarily any and all citrusy sort of desserts. 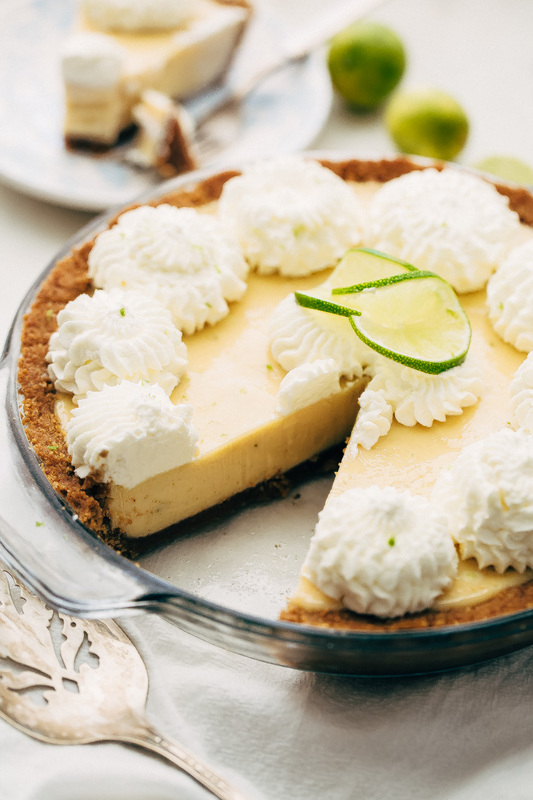 Friends can we just have a moment of silence to really sit back and imagine all the things we love about a good key lime pie. The way a buttery graham cracker crust is crunchy and perfectly sweet. The way it tastes as it hugs that slightly sweet, slightly tart lime filling. The little dollops of whipped cream that are oh so sinfully delicious. A perfectly portioned bit of all three in each bite. This is what’s on my mind on an endless loop all summer long. So many reasons why I love key lime pie but mainly because it’s the epitome of a tasty summer dessert. Bright, bold, and it packs a flavor punch. 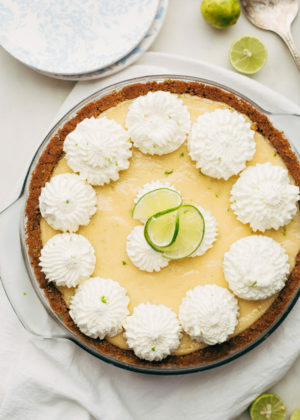 One thing worth mentioning, this is KEY lime pie, and if you’re like me (in over your head most of the time) and allow yourself to believe that for every time you make this recipe this summer you’re going to bring home a two-pound bag of key limes and squeeze each one of them yourself. You will most likely be left with this dull ache in your forearm from all the excessive squeezing. I felt it way into the night, y’all. Seriously, how many limes did I go through? Don’t even ask. But once you’ve juiced your limes (or are smart enough to use pre-squeezed juice) This pie requires a quick 25 minutes of baking time and guess what? You can make this a good day or two ahead of your summer events. Be the hero, bring key lime pie. Let’s jump right into the recipe, shall we? First, let’s talk about the crust. A few years ago I shared my key lime pie bars  with you guys where I used a handful of ground pecans to amp up the flavor and texture of my graham cracker crust. I’m happy to report that every time I make a graham cracker crust now I always, always use pecans and a pinch of cinnamon. Yes, you read that right cinnamon. In college I was obsessed with the Cheesecake Factory’s cheesecakes. Whenever I experimented at home, I just couldn’t figure out why their crust was so much better in terms of flavor than my homemade version. Graham crackers, granulated sugar, and butter were not giving me the same results. The key was adding in a handful of pecans and a big dash of cinnamon and friends, this will FOREVER be my favorite graham cracker crust recipe. The nuts add natural oils and a nutty flavor that help elevate our graham cracker crust game. 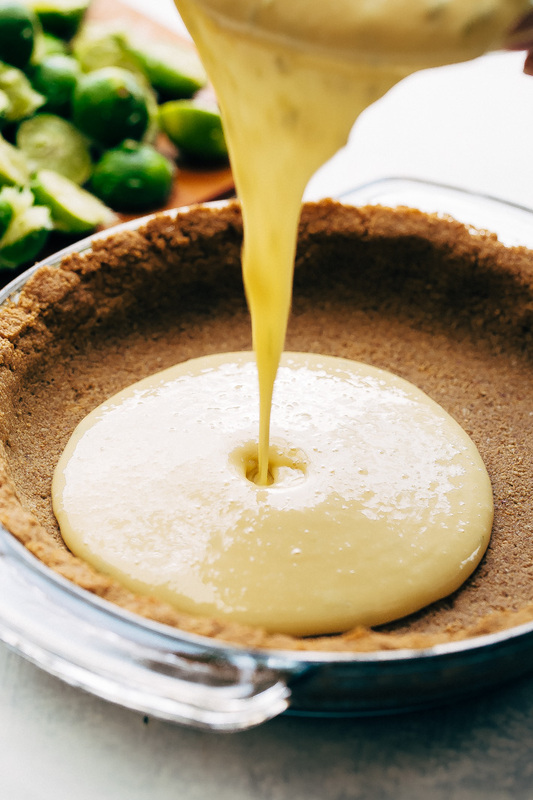 Seriously, even if you’re not a key lime pie fan (because tbh, I wasn’t until a few years ago) use this crust recipe for all your pie needs. 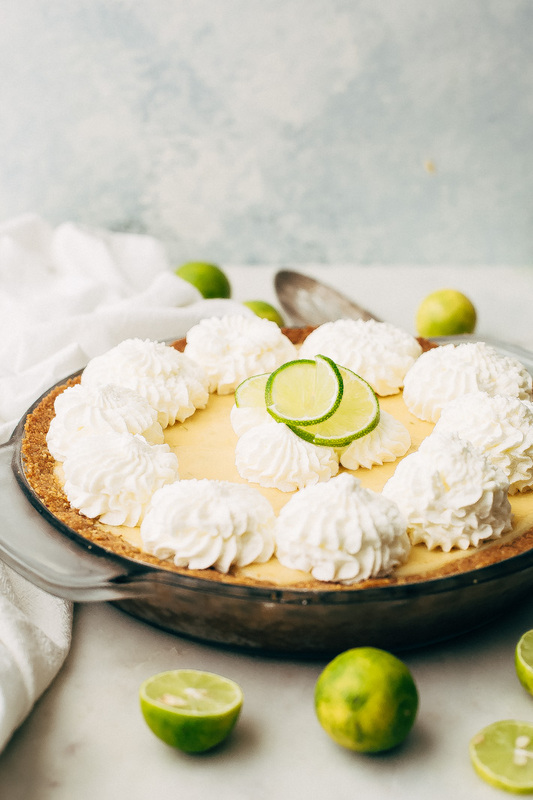 The key lime pie filling is pretty much your standard filling recipe, a couple of cans of condensed milk, a whole cup of key lime juice, four egg yolks, and a generous amount of lime zest. I’ve made this recipe in the past with six egg yolks, and I have to say, I found it to be super dense and EGGY. Four egg yolks give this pie the perfect amount of stability and smoothness. P.S. does anyone else get giddy with joy when you get a clean cut slice of pie? Ohh my gosh, guys. Cool, creamy, sweet, and tart. Graham Cracker Crust: Position a rack in the center of the oven and preheat the oven to 350ºF. 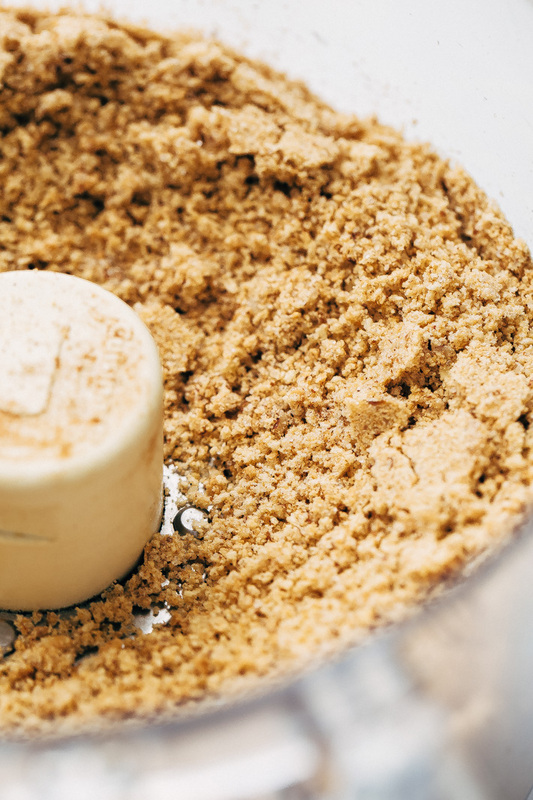 Pulse the graham crackers, pecans, granulated sugar, and cinnamon together in the food processor until it turns into a fine crumb. With the food processor running, pour in the melted butter. Stop the food processor, scrape down the sides. Dumb the prepared crumb into a deep 9 inch pie pan. Here  is one similar to the one I used. Spread the crumb mixture out and make sure to take it up the sides too. I like to press the crumbs down with a measuring cup to make sure they’re packed in tight. This ensures that your crust won’t fall apart. Bake the crust for 10 minutes. Remove from oven and let cool for 5 minutes before pouring in the lime filling. Lime filling: Place the egg yolks in a medium bowl and whisk for 2 minutes or until they lighten a bit in color. You can use a hand mixer or a stand mixer for this step too if you’d like. Add the condensed milk and continue to mix for another 2 minutes. Add the lime juice ⅓ cup at a time, waiting until the batch is completely incorporated and the mixture thickens before adding the next ⅓ cup. The lime filling should be thick and should fall in ribbons when done. 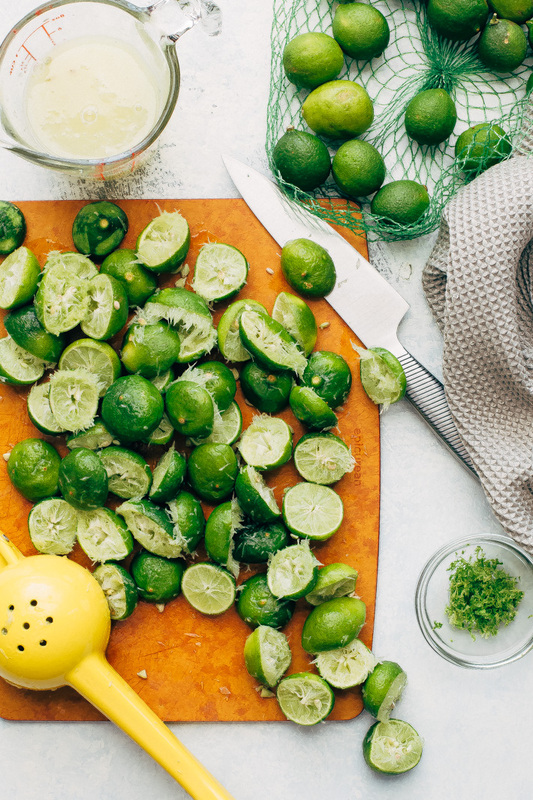 Fold in the lime zest. Pour the filling into the prepared pie crust and bake for 14-15 minutes or until the filling sets and it’s just barely jiggly in the center. You do not want the filling to brown so make sure to not over bake. Let the pie cool on the counter for 2 hours before allowing it to cool completely in the refrigerator. I suggest making this 1 day ahead, as the filling sets best when left for at least 8-10 hours in the refrigerator. Whipped cream: Beat the heavy cream in a stand mixer using the whisk attachment or with a hand mixer until soft peaks form, about 2 minutes. Add in the powdered sugar and continue beating until the whipped cream holds it’s shape, about 1 minute. Use a piping nozzle or just dollop the cream on the pie using a spoon. Top with lime zest and lime slices if you’d like to decorate! When refrigerating the pie, do not cover with plastic wrap. I made the mistake of doing this the first time around and it was completely stuck to the filling. You can place a plate on top (so that it doesn’t touch the filing) instead. Use a very sharp knife when cutting the pie. A reader suggested to dip your knife in hot water before slicing as this helps make clean cuts.